Before the internet was more widely available, business’ relied on printed directories like the Yellow Pages and editorial ads in magazines to reach new customers. It was hard to stand out and even harder with a small budget. 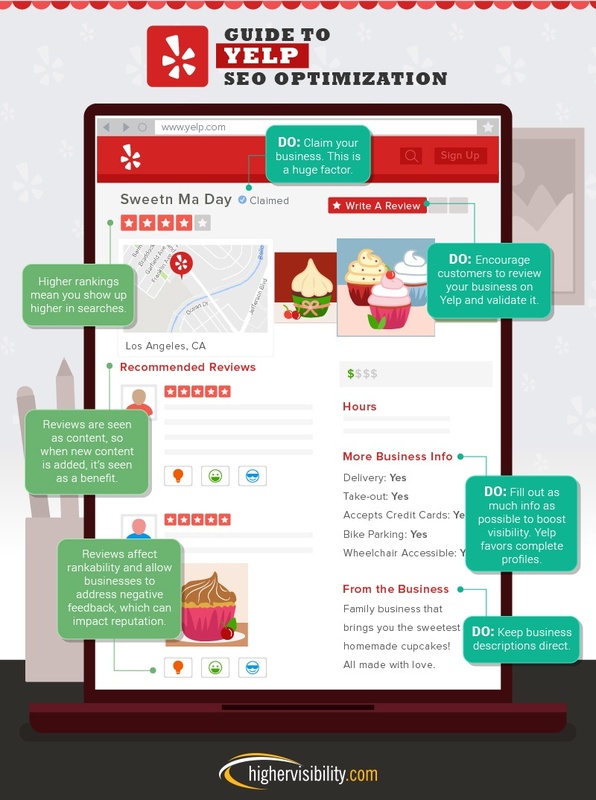 Now you can leverage your optimized business page across social channels. It has never been easier to reach your customers but it’s never been harder to fight for their attention since your competition has the same set of tools available to them as well. 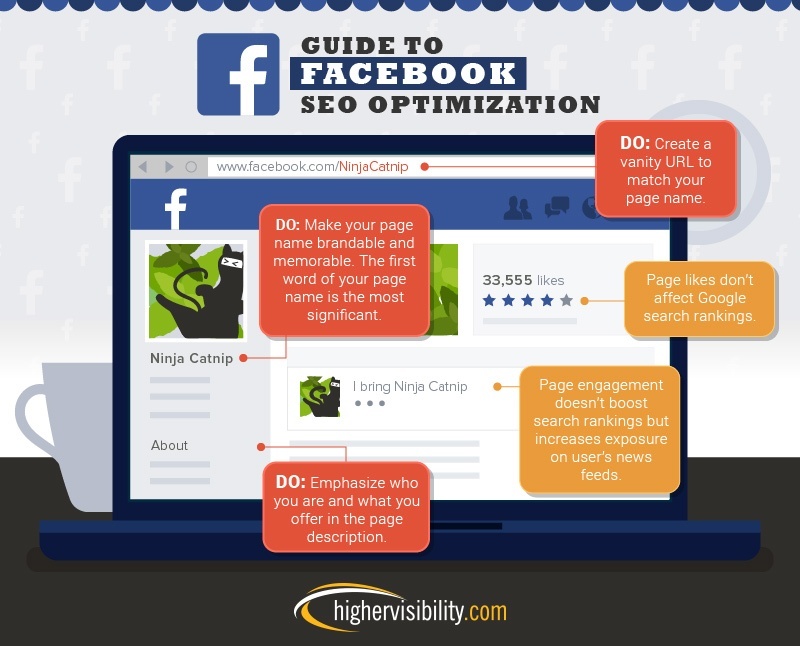 That is where your optimized business pages on your social channels play a major role in your marketing plan. In the previous era, the greatest likelihood someone would call you over your competitors was if you paid for larger print ad placements, or if your brand’s name started with one of the first letters of the alphabet. Thanks to the internet, it’s easier for prospects to find what they are looking for by simply searching with their chosen search engine or across their social media channels. In fact, 81% of shoppers conduct online research about a product before making a purchase. 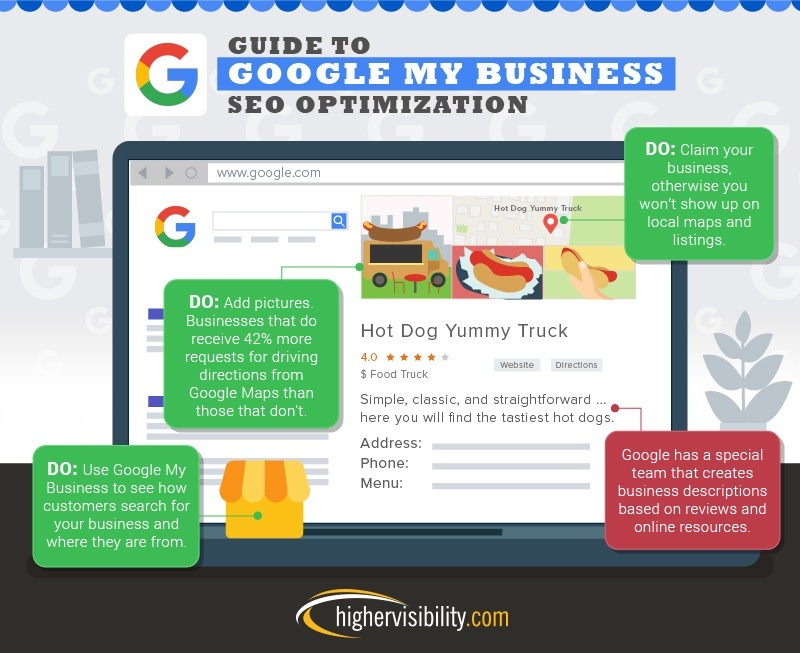 Now, it’s more important than ever to have well-optimized business pages across search engines and social media platforms so your business can be found and so you can generate more leads. 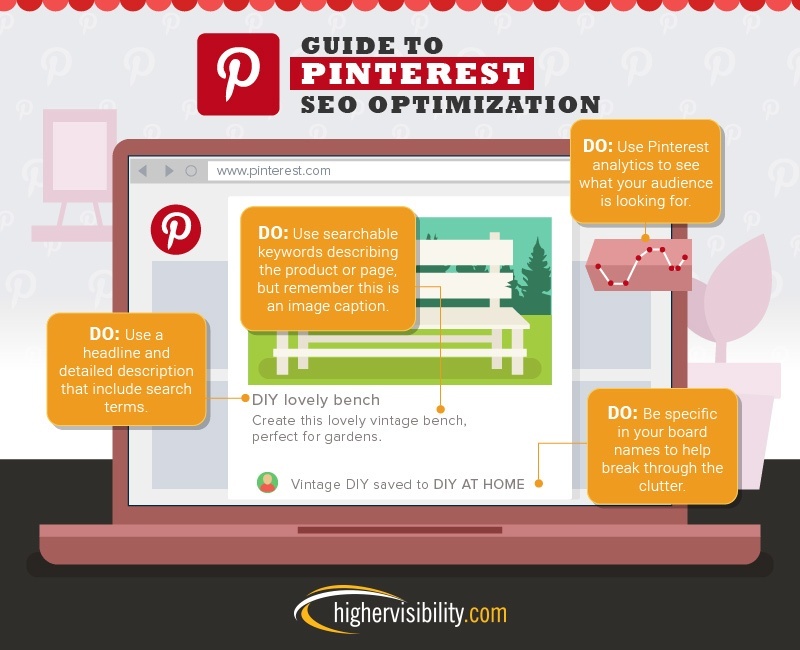 The folks at HigherVisibility produced mini-graphics with tips for how to optimize your business page on Facebook, Pinterest, Etsy, Yelp, and Google. 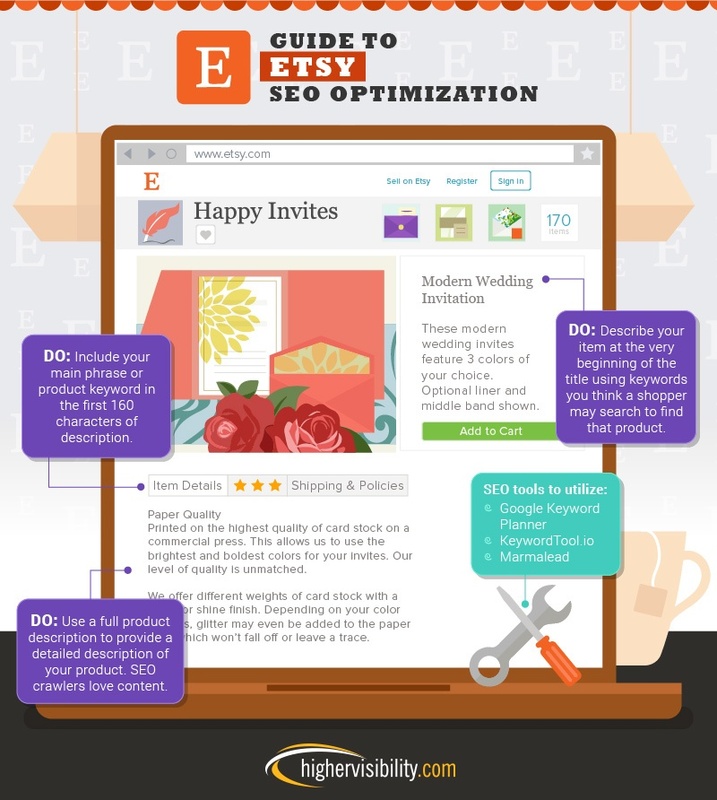 A few simple steps to improve your pages could result in more traffic, leads, and revenue for your business, so be sure to bookmark the mini-graphics below.